Description - Shaw's Harmony carpet tile collection is a product worth writing home about! Durable enough for high traffic commercial spaces and constructed using EcoSolution Q Nylon, Harmony is the perfect budget friendly flooring solution for virtually any space. Harmony's unique pattern features a practical and pleasing structured aesthetic, layered composition of broken and connected grid lines that are sure to attract attention. 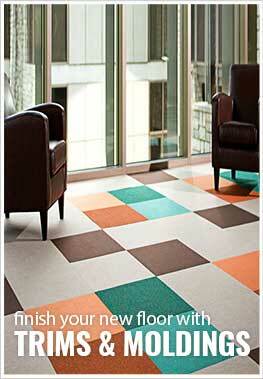 Harmony carpet tile planks are also designed to match with Shaw Medley & Rhythm. Recommended Installation Pattern - Monolithic, Brick, Herringbone, Stagger, Offset. Material - Eco Solution Q® Nylon with EcoWorx® backing and finished with Shaw Soil Protection treatment. Size - 12" x 48"
Recommended Uses - Harmony carpet planks are the perfect solution for virtually any commercial space, including office buildings, waiting rooms, dental offices, breakrooms, hallways, in basements, throughout the home and more. Matches with Shaw Medley & Rhythm. Really nice carpet! It transformed our office space.